Did you know that an Escapees RV Club membership gets you access to a wide array of discounts? Alongside parking discounts, we partner with several industry leaders to offer ways to save you money on some of the best products and services out there. You can quickly cover the cost of your dues by taking advantage of these savings! Escapees members receive a 10% discount off complete coverage plans for our members through ASPCA Pet Insurance. These plans are customizable to suit your pet’s needs. Now, you can follow your vet’s recommendations with less worry about cost. Through this plan, you can pick your annual coverage limit, add preventative care, or select accident-only coverage. Coverage includes exam fees, diagnostics, and treatment for accidents, illnesses, cancer, hereditary conditions, behavioral issues and dental disease. This resource is a great way to save money on the road and stay with locals during your travels. Hosts on Boondockers Welcome offer a site for you to park your RV and options will range between dry camping, full hook-ups and partial hook-ups. Escapees members save $5.00 off, or you can choose to donate $5.00 to CARE. Costco is a membership warehouse club. With hundreds of locations worldwide, Costco provides a wide selection of merchandise, plus the convenience of specialty departments and exclusive member services. Join Costco as a new member and receive coupons valued at more than $50 including three FREE items. *Note- Not valid for renewal of existing membership. 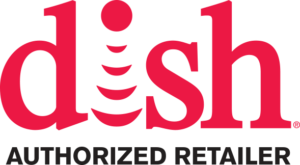 Save $50 off a Satellite Antenna Bundle with Pay-As-You-Go service through DISH. The Resource for your Family’s Full Time RV Adventures and Aspirations. Fulltime Familes provides advice, support, guidance, opportunities to socialize with other families, and tips on stretching every dollar while making the most of your travels. The Goodyear Tire & Rubber Company has extended a 15% discount on all auto and trailer tires purchased through Goodyear.com. This is a fantastic and useful way to earn back your annual dues in savings! To utilize this discount, tires must be purchased through Goodyear.com. Their website walks you through the selection and purchase process step-by-step. Your 15% discount will be automatically applied at checkout. Harvest Hosts offers a unique overnight experience. This online program is a network of wineries, farms and agri-tourism sites that invite self-contained RVers to visit and stay overnight for free! Harvest Hosts provides the opportunity to travel to new areas, have unique experiences and enjoy purchasing locally grown and produced products. Save $4.00 on a Harvest Hosts membership. Save 50% off over 1800 campgrounds across the US, Canada, and Mexico are currently by participating in the Passport America Program. Escapees members receive 3 months extra months and a keychain with subscription purchase. Heading to Escapees headquarters in Livingston, TX? Visit Premier Tires for savings of 5-12% off of purchases such as tires, oil changes and propane. The RV Mobile Internet Resource Center offers unbiased mobile internet information specifically for RVers by RVers. From cellular, WiFi, satellite and signal enhancing – we research the options, share our personal & professional experience and analyze industry news… so you can focus on what drives you. Save $10.00 on a Mobile Internet Aficionados membership. Save $10 on Enhanced package on RVTrader.com. This listing gives members a listing for 8 weeks, 20 photos, a video, and featured ads for enhanced exposure for $59.95. All Escapees members save $40 on any new claim. The goal of WiFiRanger products is to enhance existing internet sources and make them more usable, while also combining these internet sources as desired for the most speed, reliability, and automatic backup. WiFiRanger products can reach weak WiFi at extreme distances and also tether to your USB MiFi, Aircard, or Smartphone. Escapees members receive 10% off products.